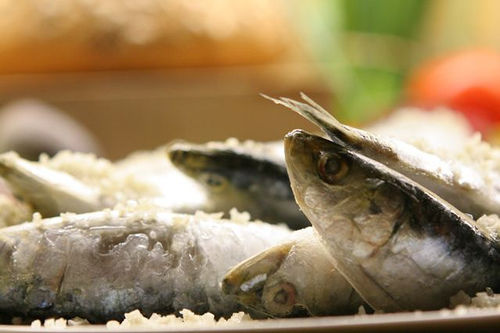 Wash the sardines. In a deep plate spread a layer of thick salt. 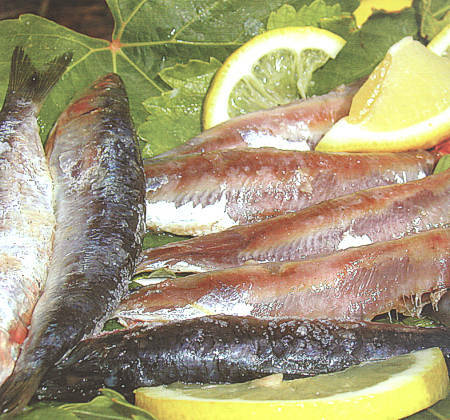 Then place the sardines over the salt and cover them with another layer of thick salt. Let them burn in salt for 2 - 4 hours. Remove them from the plate, wash them and remove head and spinal by pulling them towards the tail. This way you master to remove the guts as well. Peel the skin from the fish and lay the fillets on a plate. If you want you can season them with oil and vinegar.